ANN ARBOR — LLamasoft, the Ann Arbor-based supply chain optimization software developer, has been selected as a winner of the Supply & Demand Chain Executive’s Green Supply Chain Awards for the second year in a row. Now in their 10th year, the awards recognize sustainable, green practices, products and services in supply chain management. This award recognizes LLamasoft’s efforts to both help its customers operate more sustainable supply chains, as well as to create a green culture internally. Using LLamasoft’s modeling technology, customers are able to create “digital twins” of their supply chains, making it easier for them to: optimize transportation routes to reduce empty miles and overall miles driven, evaluate physical supply chains to minimize space used and identify redundant facilities, and find opportunities to improve both service levels and environmental performance by storing more finished goods closer to sources of demand. Additionally, LLamasoft’s Green Team has helped the company create a culture that emphasizes sustainability by developing activities and initiatives that make it easy for every LLamasoft employee to take part. Corporate efforts to achieve sustainability goals include company-wide recycling practices, promoting alternate commuting methods employees can use to travel to and from work, and bike availability for employees to use during work hours to run errands. 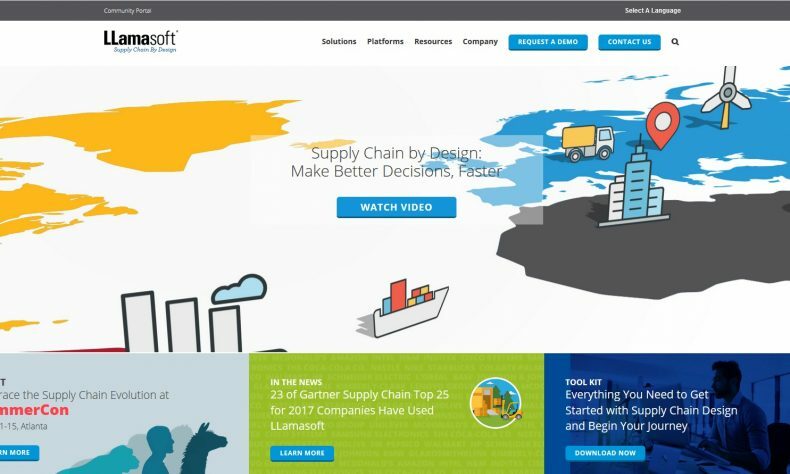 LLamasoft was recognized for this award in the December 2018 Supply & Demand Chain Executive issue, and on www.sdcexec.com. For more information on how to create a green supply chain, download LLamasoft’s ebook on applying green thinking across the supply chain at https://www.llamasoft.com/ebook-seven-ways-design-green-supply-chain/.